No meal delivery service is able to accommodate everyone’s taste and needs, but Magic Kitchen comes pretty close. This service offers delicious and healthy meals for singles and families, seniors and diabetics, omnivores, carnivores, and vegetarians. Its menu includes meals for individuals who suffer from chronic diseases, people with food allergies, and those who need to limit their intake of sodium, fat, cholesterol, carbs or calories. Whatever your dietary needs may be, chances are Magic Kitchen has something tasty for you in its rich offer. Menu variety in itself was enough to get us interested, so we decided to take a look around this unique kitchen, sample some dishes, and report our impressions in this detailed Magic Kitchen review. When ordering from Magic Kitchen, you have plenty of options at your disposal. First, you should decide whether you want to order meals from time to time or wish to enroll in a meal program. While commitment-free ordering allows you to freely determine the frequency of your deliveries, a meal program can save you quite a lot of money, as it comes with great discounts and no contracts to sign. No matter which of these two options you choose, you can pick your meals from the company’s two menus: A La Carte and Complete Meals. While the A La Carte menu includes individual entrées, soups, sides, and desserts that you can combine any way you wish, the Complete Meals menu features full meals including an entrée and 1-2 sides. Unlike many other meal deliveries, Magic Kitchen does not only focus on dinners but provides complete breakfasts, lunches, and dinners, as well as snacks and treats. In addition to the individual a la carte items and complete meals, you have another option: meal bundles. These bundles normally include 1, 4, 6, 7 or 8 meals and they are designed with different tastes and dietary requirements in mind. Apart from browsing meals by type, you can browse them by 11 types of dietary interests, ranging from medical conditions to food allergies. If you decide to order commitment-free, you can simply pick the meals you want and proceed to checkout. If you opt for a meal program, the process is almost equally simple. Pick the items you like from the A La Carte or Complete Meals menu, decide whether you need 1, 2 or 3 meals per day, fill out a short form, and opt for recurring orders instead of a one-time shipment. You can receive deliveries every week, every other week or every month. 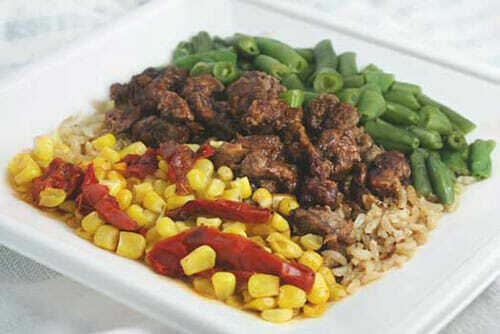 The main distinctive feature of Magic Kitchen is the spectrum of special dietary needs it covers. While many meal delivery services take pride in offering vegetarian dishes in addition to omnivore offerings, Magic Kitchen offers something for everyone, from people allergic to gluten to individuals on the renal diet. This service does not only provide healthy meals for different diets but also educates its customers on how to live and eat healthily and adjust their diet in accordance with their dietary requirements. It is a service that that truly cares about the well-being of its patrons and goes to great lengths to make sure they are healthy, happy, and satisfied. It is important to note that Magic Kitchen meals come with a 100% satisfaction money guarantee. If any item reaches your home damaged or spoiled, you just need to get in touch with the company’s friendly staff and the item or items will be replaced at the company’s expense. Likewise, if you try a meal that you are not satisfied with, you can get a replacement or credit that you can use for your future purchases. As previously mentioned in this Magic Kitchen review, Magic Kitchen has its offer split into two main categories – A la Carte and Complete Meals. The A la Carte menu features dozens of main courses, side dishes, soups & breads, and desserts. The items can be filtered by special diets, including dairy-free, gluten-free, low-carb, low-fat, low-sodium, and vegetarian. Items on the Complete Meals menu are even more numerous and similarly categorized by dietary requirements. 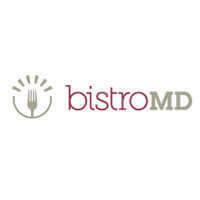 They include portion-controlled, senior-friendly, diabetic-friendly, low-sodium, low-carb, low-fat, renal diet, dialysis-friendly, and gluten-free dishes, as well as Magic Kitchen’s signature meals. Meal bundles are divided into 9 major categories. These include 1-person bundles, family-size bundles, comfort food bundles, customer favorites, top-rated meals, senior bundles, homestyle bundles, dessert bundles, and soup for the soul. If you want to surprise your loved ones with healthy, delicious food, Magic Kitchen also features gift packs in its offer.These are meals and courses designed for a wide range of occasions, including Mother’s Day, baby shower, anniversary, retirement, Valentine’s Day, and more. The meals you receive from Magic Kitchen are always chef-prepared, guaranteed fresh (or you get your money back), pre-portioned (350-550 calories per complete meal), made of quality ingredients, and ready to heat. 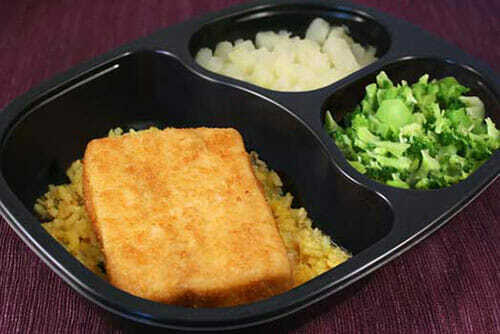 With Magic Kitchen, individual meals can cost anywhere between $10 and $25. It all depends on what you order. For example, a senior meal consisting of BBQ chicken drums, broccoli, black beans, and corn costs $11.50 per serving. 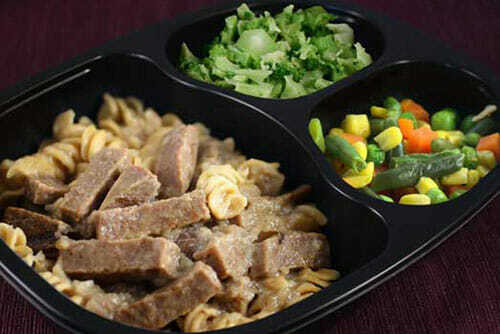 Most meal packs consist of 7-8 servings, meaning you get 7-8 tasty dinners in one package. The prices for meal packs range from $75 to $90, depending on the ingredients, while family-sized meal bundles cost between $166 and $215 for 2 meals with 6 servings, depending on whether you also want to receive a dessert with your order. If you opt for a meal program, you get a nice discount, so meals generally cost $11 to $12 per serving with recurring orders. The service also offers senior discounts and discounts on various individual meals. Magic Kitchen delivers throughout the United States, including Hawaii and Alaska. The service has a specialized central warehouse located in the Kansas City area, so shipping is done from one single place. Deliveries are made with FedEx and UPS Ground delivery services. Shipping costs depend on location and typically start at $20. You can check out the company’s official website for more information on when you can expect your order to arrive. To make sure Magic Kitchen meets all your standards and expectations, it is important to know its biggest advantages and disadvantages. With a short overview of its pros and cons, you can easily decide if Magic Kitchen is the right meal delivery service for you. 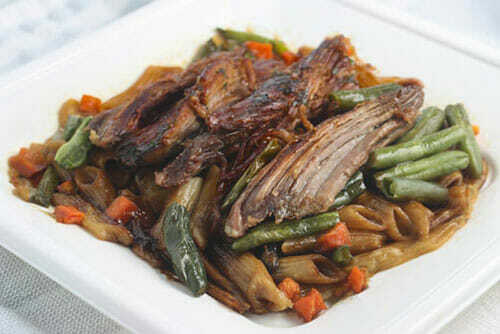 With Magic Kitchen, you get delicious meals prepared by pro chefs at affordable prices. To find out what kinds of delights you will receive in your delivery, we have chosen a couple of sample dishes that accurately represents its offer and can help you decide if it is the right service for you. 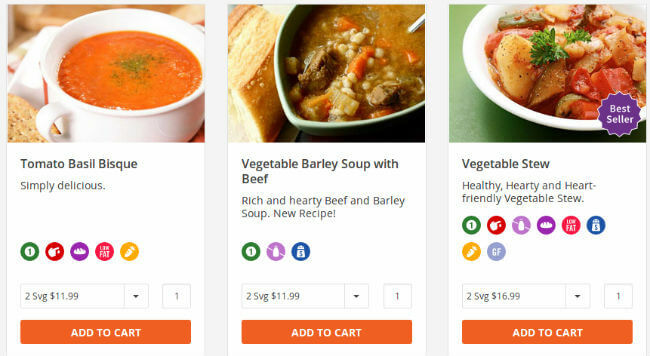 Magic Kitchen is a great choice for anyone who wants to eat healthily with zero hassle. It is a particularly good solution for individuals with special dietary requirements due to medical conditions, food allergies or other health concerns. It is rather affordable to begin with and it offers pretty nice discounts on meal programs and individual meals. What is more, all of its meals come with a 100% satisfaction guarantee, so you can order worry-free. Our ratings are the result of an objective and independent evaluation of Magic Kitchen, generating the final rating that reflects the overall quality of the company. Ratings may change as the service changes. Magic Kitchen customer rating based on 10 customer reviews. Menu is rich and colorful, but the meals aren’t always that way. I’m not impressed with the food and I highly doubt it’s organic. But it’s not expensive, so it might work sometimes when you’ve got no other ideas. When I started dieting I thought I’d have to cook by myself all the time. Above that, I thought it would be expensive as hell! But Magic Kitchen has proved me wrong. They deliver prepared meals and the prices are really, really reasonable. A few times my food didn’t match the photos I’ve seen on the website, but it was still pretty tasty. Easy preparation, fast shipping, very detailed instructions for everything. Ordering food couldn’t be any easier. And it also tastes great! Couldn’t believe how many options there were available on their websites so I had to order a pack that would help me with my diabetes. This first order might have helped with diabetes, but man, these portions could be a bit larger. There’s barely enough to trick the stomach for an hour or two. I want more for my money! We are a very health-sensitive family and Magic Kitchen has been our partner for 6 months now. Great meal plans, great customer service and a very easy ordering process. Also very pleased with the overall taste of the dishes, although the low-sodium ones are a bit bland. Once you get familiar with how their website works, ordering is very straightforward and easy. Meals are very easy to prepare and the best of all, they also taste awesome. I don’t know how to cook, and even if I knew, I wouldn’t have the time to cook for myself. That’s why I need a reliable meal delivery service to help me out. And Magic Kitchen is exactly that. Reliable, tasty and easy to use. We found 1 verified Magic Kitchen discount for April, 2019. Sign up and we’ll let you know about future Magic Kitchen promo codes. If you like Magic Kitchen but aren’t sure whether they are truly the ideal choice for you, you may want to take a look at our comparisons below to discover if one of their competitors is more suitable for you.